Birthing complications are in general less likely when an abnormal fetal position or presentation can be detected before the labor process starts. When a fetus doesn’t present in a normal position (facing backwards, presenting head first), the correct measures must be applied to assist a complicated delivery with manual maneuvers. Furthermore, medical staff must be trained on when and how to apply obstetric emergency interventions (like a cesarean section). 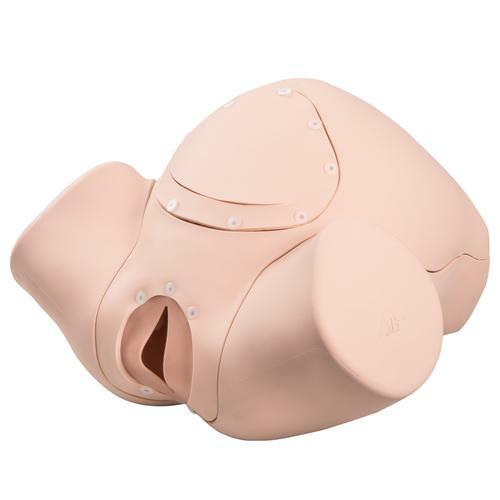 The 3B Scientific® Birthing Simulator P90 BASIC is made of soft vinyl (hard for inner structures) and silicone. It is easy to clean and all parts can quickly be changed without tools (pin connections). The 3B Scientific® Birthing Simulator P90 BASIC can be upgraded to the PRO version with the Upgrade Kit 1020337.